The course Teaching with Moodle: An introduction – Moodle’s first official MOOC on Learn.Moodle.net – launched today with a live event. More than 3000 participants, from more than 25 countries around the world already registered for the MOOC. And almost as much posts can be found in the introduction forum. Plenty to read 😉 But, that’s actually the exciting part, to get to know others, learn where they come from, their background and their motives and much more. 4 weeks full of information, activities and quizzes as well as communication and collaboration with like-minded Moodle MOOCers are lying ahead of me. 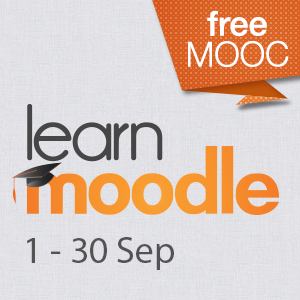 I just hope I will find enough time to make the best use of the 30 days and learn more about Moodle. Fingers crossed.